We have a few Timer's left in stock. PM for end of the year Sale! High-speed GPS, internal accelerometers, expansive data logging memory, USB download, a waterproof design, a thoughtful feature set, and a retail price of $399 make for best motorsports lap timer ever made. It's called Solo, and it's available now. Arguably the best tool a driver can have for getting faster—predictive lap times. 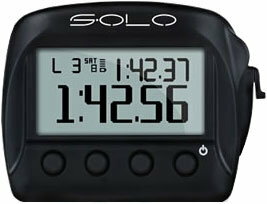 Chisel down those lap times and qualify better than you ever have before with the Solo's predictive lap timing. 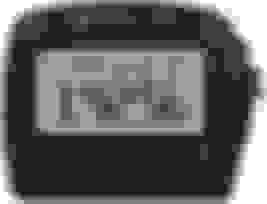 A constantly updating real-time display of your current lap pace. A time prediction resolved down to the hundredth of a second - and incredibly accurate. Optionally you can display a real-time +/- from your best lap time. The Solo records your lap times along with speed, track position, lateral g-forces, linear g-forces, yaw rate, heading, slope, satellite reception, and battery voltage. Each channel recorded at a frequency of 10-times per second (10 Hz). All tests are stored with a time and date stamp for on-screen review or PC download for further analysis. 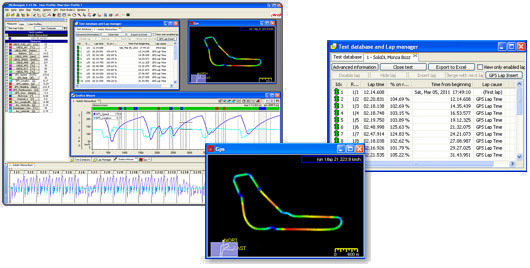 Download your Solo data to the included full version of RaceStudio2, our professional data analysis software. Hit the Solo's memory button when your session is over and up pops your best three lap times, along with session data of duration and distance. Hit MEM again and you get a full list of your lap times along with max straight speed and minimum corner speed for each lap. A third data review page shows a histogram view of your lap times where you can identify patterns of driving or the tires coming in - or going away. Plot your Solo data over time or distance, xy plots, track position, create histograms and more. Overlay any number of laps from the same test of different tests. Correlate your data to track position. Every lap you drive is mapped with great precision, which not only allows you to correlate data to track position, but also overlay maps to analyze driving lines. Know exactly where you are gaining or losing time. One of the most useful tools for analyzing driver performance and consistency is to break up the track into several sections and analyze sector timing and standard deviation within a test session. The Solo puts that powerful tool one click away on your PC. The track is automatically split up into straights and corners and a table provided with sector times for each and every lap. It also strings together your "theoretical best" lap, combining all your best sectors. 1/8th mile, 1/4 mile, and 0-60 MPH performance test modes are built in to every Solo. Queue the Solo up for a 1/4 mile pass and from a standing start mash the pedal and keep it straight for 1320 feet - on a closed circuit or where permissible by law of course. The Solo's smart looping memory records a few seconds of staging, the pass, and about three seconds of coast down. Immediately after the pass, the Solo display provides you with a time slip, complete with your 60' time, 330', 1/8th mile split and speed, 1000', and your 1/4 mile ET with speed at the finish line. A similar abbreviated time slip is displayed for 1/8th mile tests. The venerable 0-60 MPH test benchmark is just as easy to run, and the on-screen review shows your 0-60 time, the distance traveled to achieve 60 MPH, along with the 0-20 and 0-40 MPH splits and respective distances. (*Note that the Solo is not NHRA or IHRA legal. The Solo provides real-time track position in both time and feet - this might get you lynched at a NHRA or IHRA event, or tossed out at the very least.) **Specific performance test views are being added to RaceStudio2 in the coming months. GPS lap timing means not having to place a beacon trackside for lap times. It also means there’s no beacon to forget. There’s twenty-four lap timing satellites orbiting the earth - always on, and no batteries to replace. The Solo displays your lap times in numbers just under an inch in size, even aging eyes have no problem seeing them. The Solo's internal lithium-ion battery will keep the Solo running for about 4 hours with the backlight on. Otherwise, a 12V connection to vehicle power keeps it charged and running off the vehicles battery. A forthcoming free firmware update to the Solo will add another dimension to the Solo - its namesake motorsport, solo or autocross racing. Right now the details are under wraps with only vague hints as to the autocross specific features, codenamed "killer" and "game changer". 9.5% California tax applies if you are in California. PM me with a $$# please. PM for tax season sale pricing!